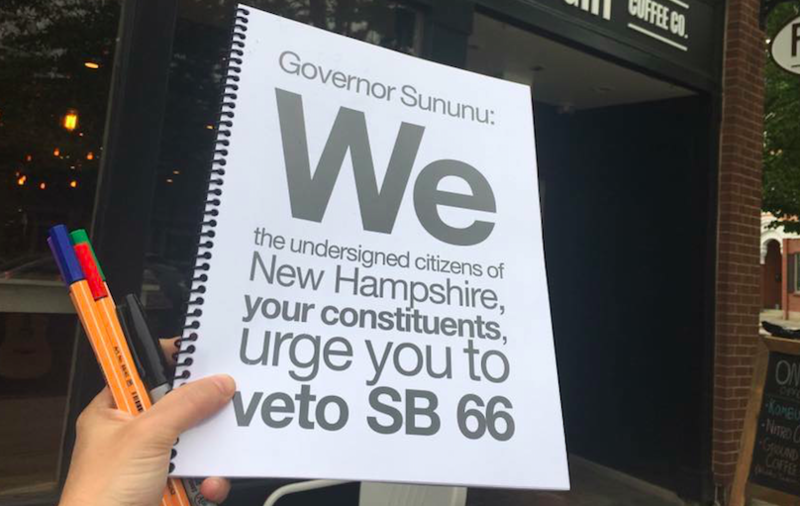 Upon publishing the op-ed “Sununu’s Legacy of Using Women’s Bodies for Political Gain,” I organized an in-person signing of a “Binder full of NOs” for Governor Sununu, urging him to veto SB66. We amassed over 100 signatures. State Representative Debra Althschiller delivered the petition to Governor Sununu on June 27th. SB66 ultimately failed when amendments added made it lose support on both sides. We hope that our public pressure contributed to the ultimate demise of the bill.